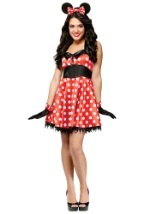 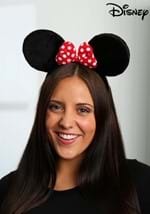 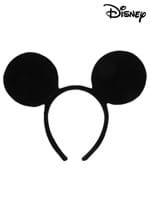 All your fellow Disney friends will stand in line to cuddle with you while you wear this Minnie Mouse PJ Costume! 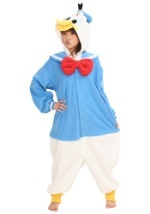 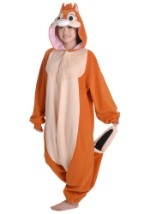 This adult Disney pajama costume is made of 100% polyester but looks and feels like a thick, soft fleece. 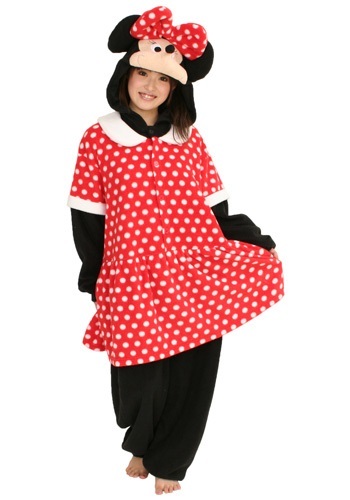 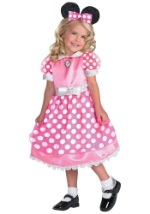 The costume has a baggy, over-sized style and features a red polka dot dress mid-section, black arms and legs, and a wide character hood with a plush nose, eyes, ears, and polka dot bow. 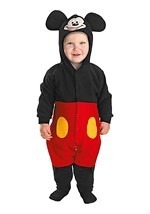 There are buttons all down the front for closure, as well. 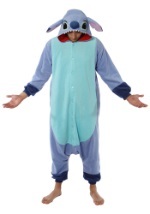 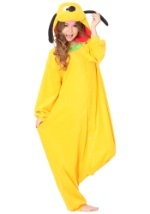 Wear this as a costume or to bed!